The benefit of a good folding knife is quite easy to see. 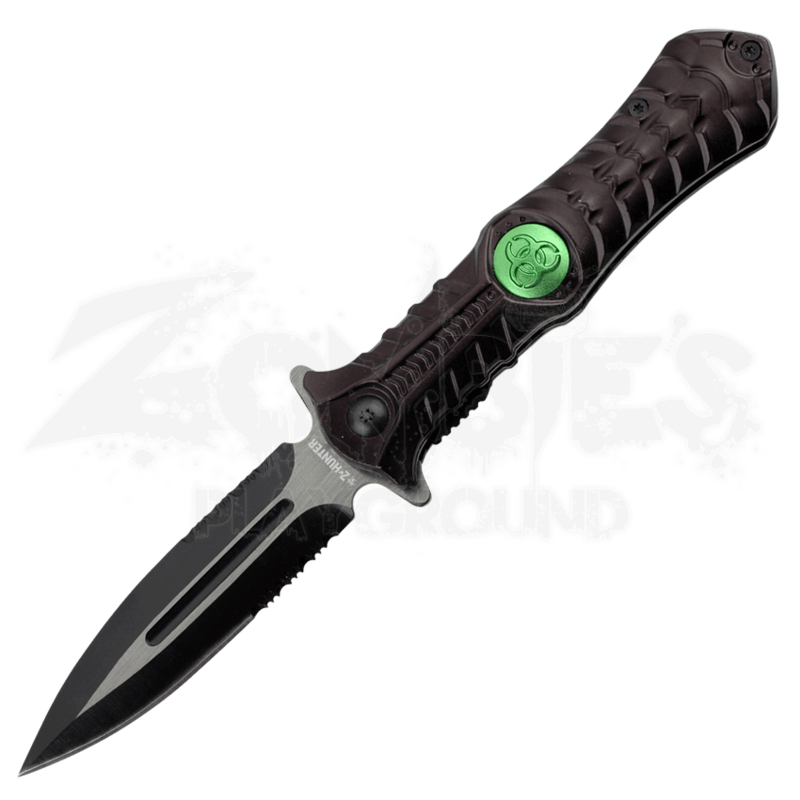 It is small, light-weight, and in the case of this Z-Hunter Biohazard Black Folding Knife, it is quick to deploy, making it a solid choice for any zombie hunter or apocalypse survivor to carry. This handy little knife is made from stainless steel and black aluminum, giving it a hardy construction that will not soon fail. The grip is textured and contoured to fit easily into your hand, while the two-toned, black and silver blade features a spear-point design that is wildly effective at both cutting and piercing. The edge is also half-serrated, allowing for an effective saw-like motion that can be used as well. 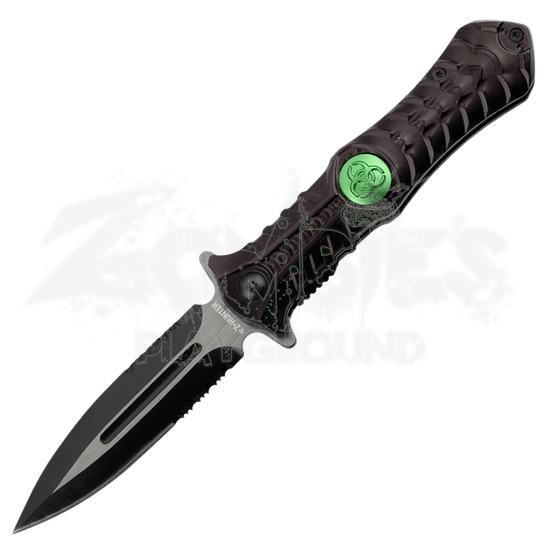 The blade is action assisted, which allows for quick and easy opening, while the black handle is set with a green bio-hazard medallion, to better echo the look and feel of an apocalyptic, zombie infested setting. The knife also features a pocket clip for easy, convenient carrying. It is small and effective, and that makes this Z-Hunter Biohazard Black Folding Knife a great choice to add to your survival kit, as well as an effective knife to tuck into your pocket for everyday use, too.